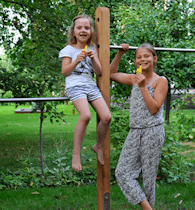 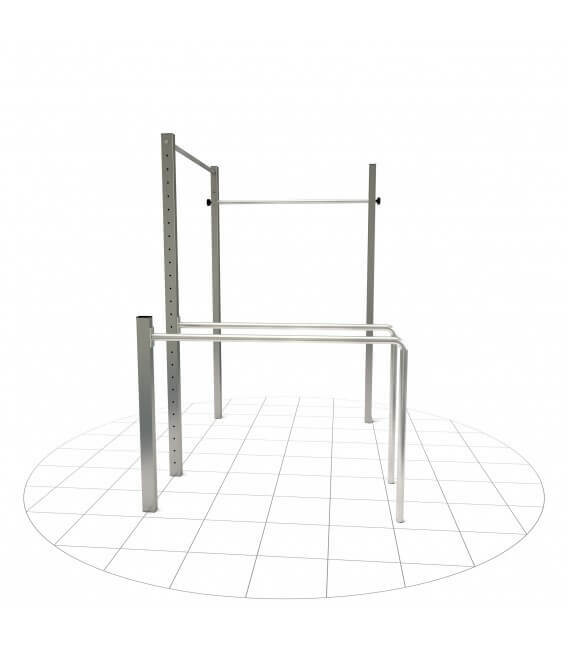 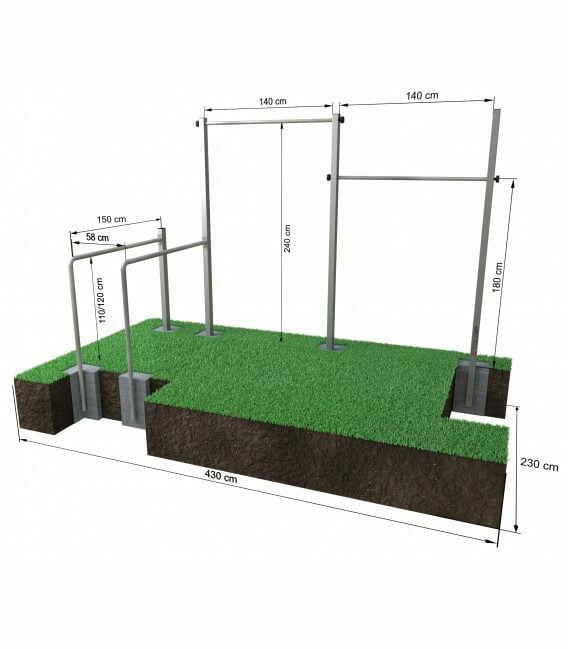 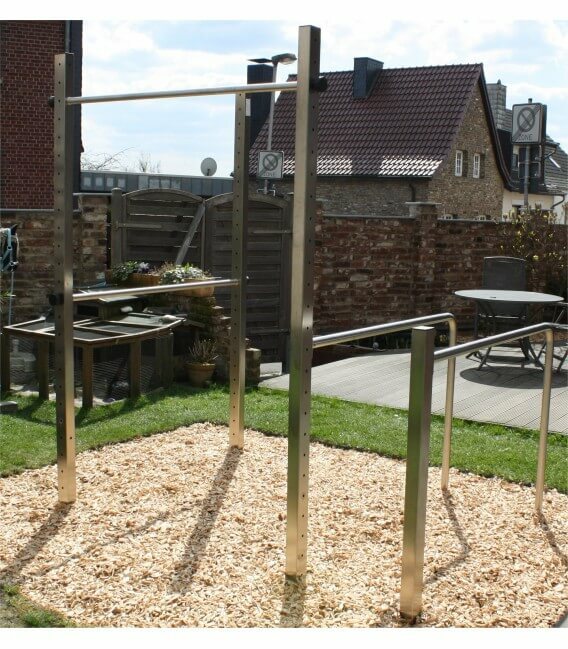 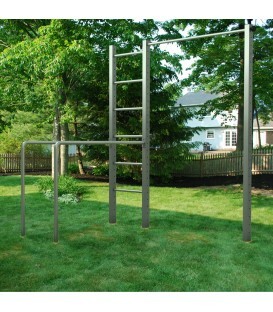 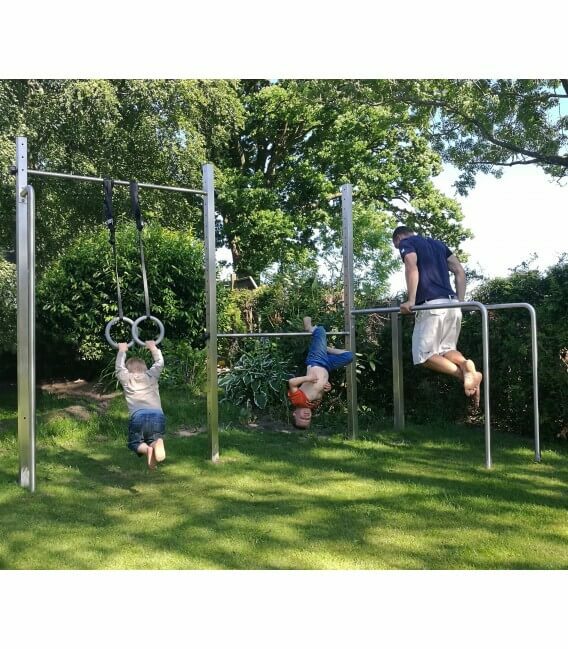 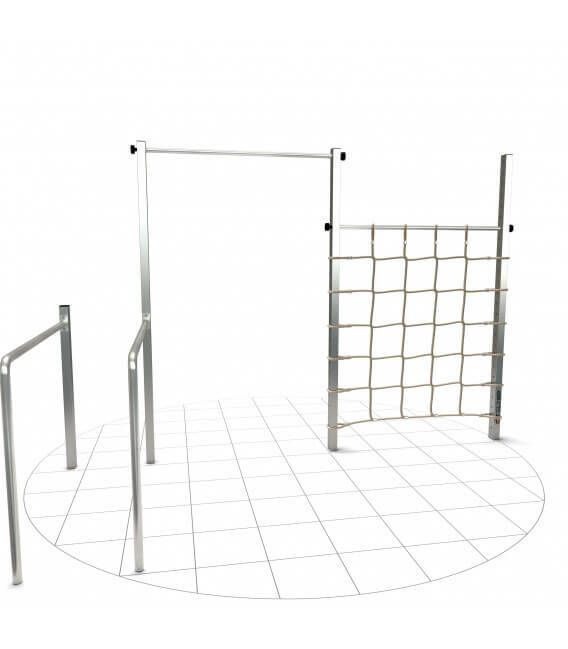 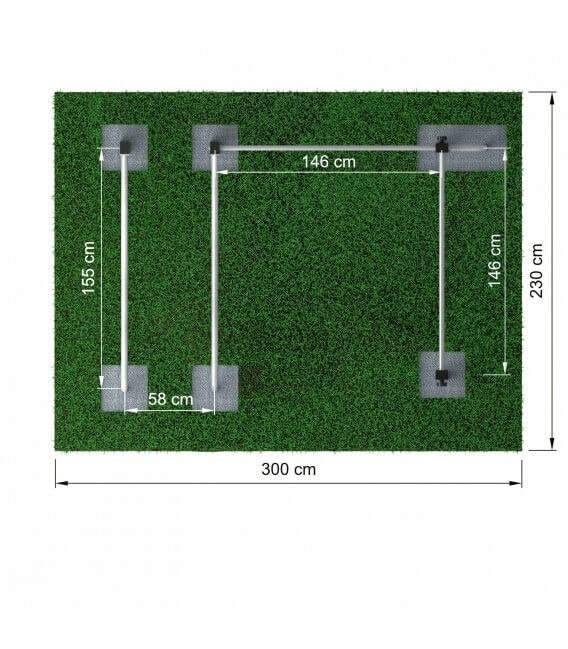 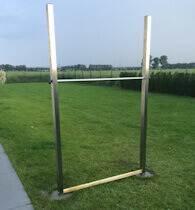 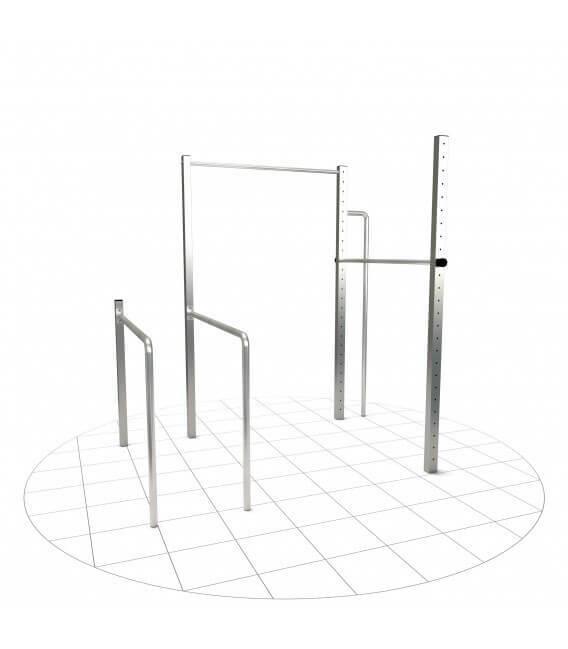 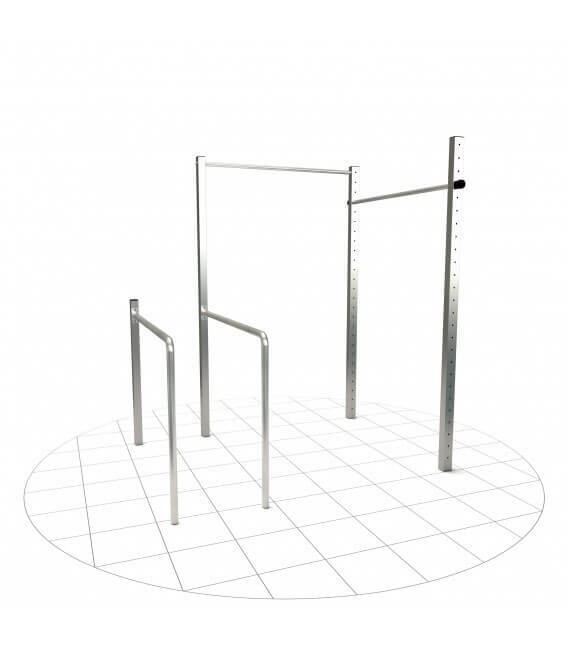 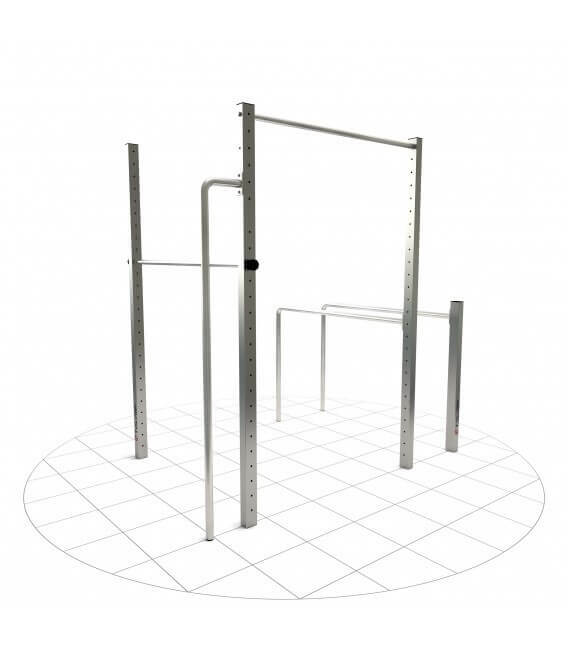 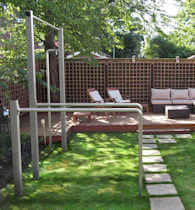 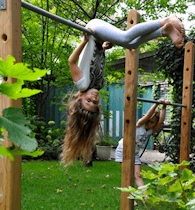 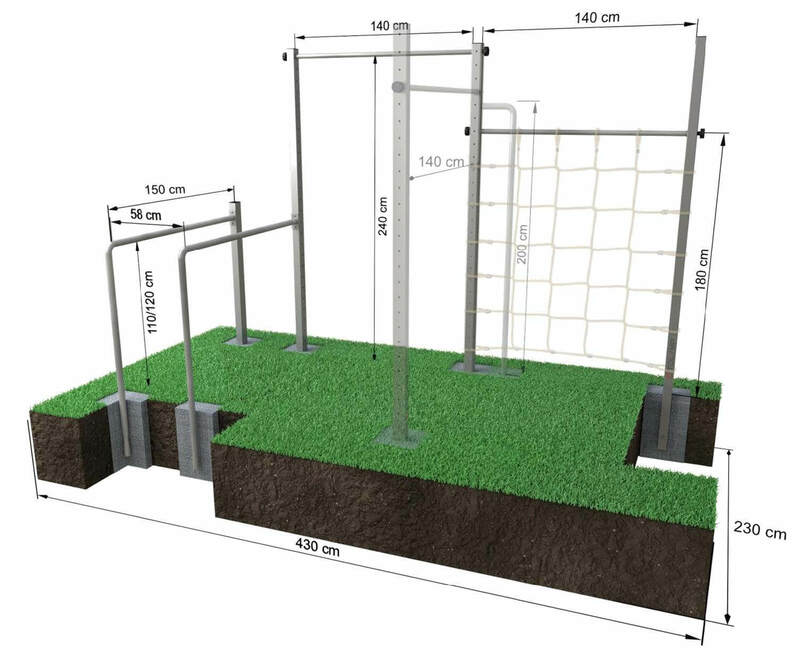 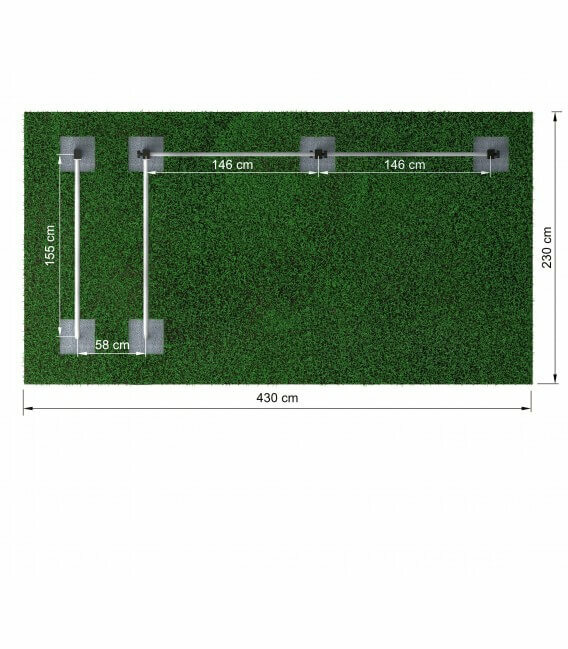 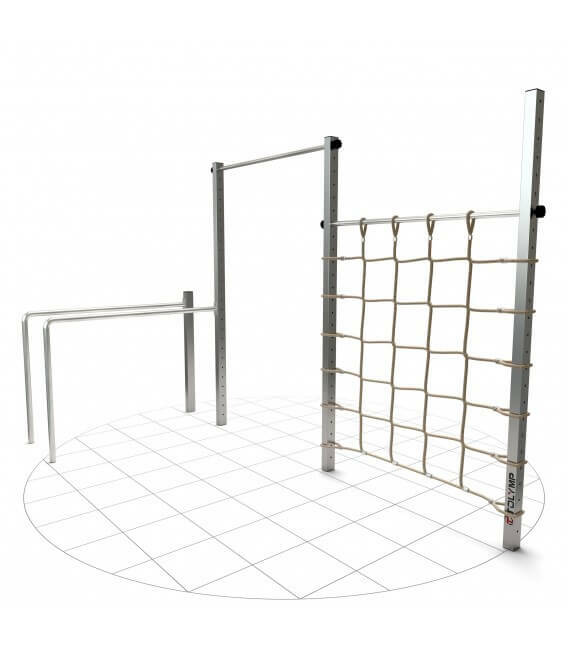 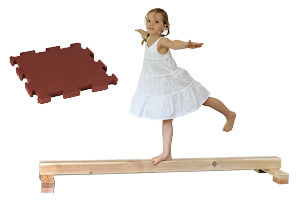 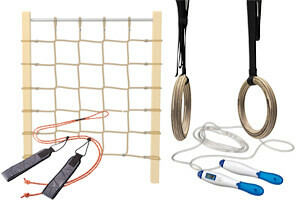 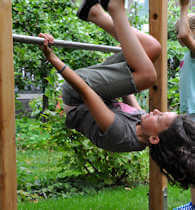 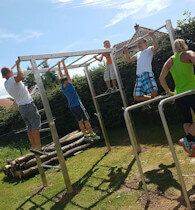 One of our outdoor bestsellers with dip bars and two gymnastic bars, corner or side by side. 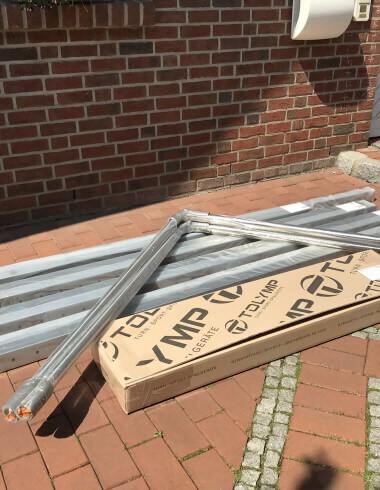 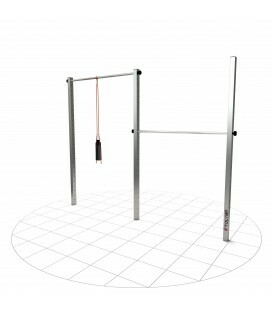 Equipped with 2 gymnastic bars in 140 cm length and dip bars. 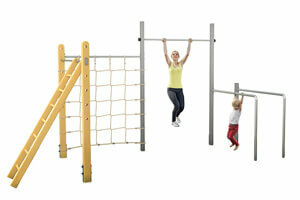 On request also expandable with Human-Flag Bar, Climbing Net and Sling Trainer. 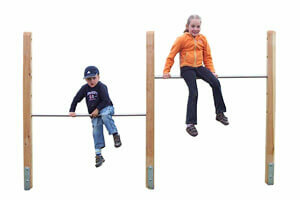 One of our outdoor bestsellers with dip bars and two turnsticks, corner or side by side. 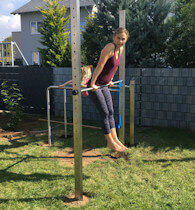 Here you can not only do gymnastics, but also train at the dip bars . 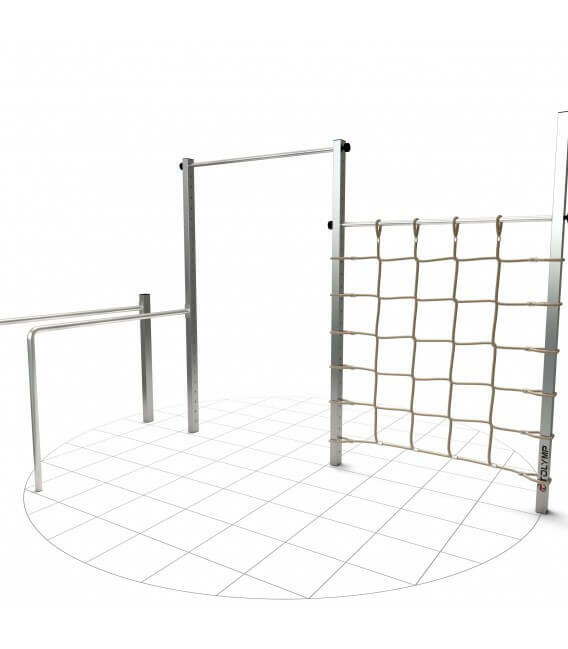 Well suited for a variety of training and play opportunities even in limited space, if you can do without a rung ladder. 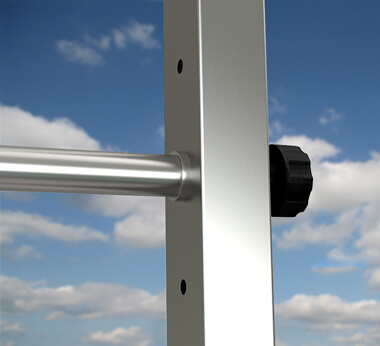 A stretch rod is adjustable from 15 cm to 240 cm in 25 steps. 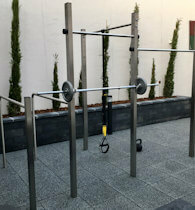 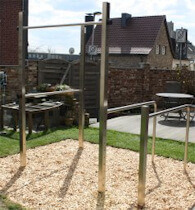 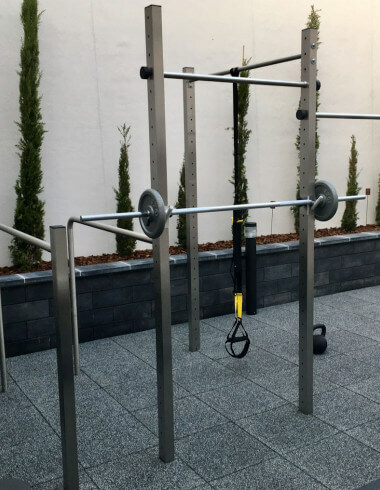 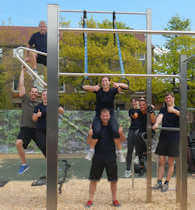 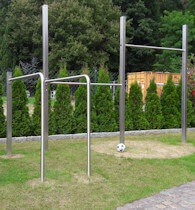 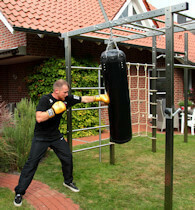 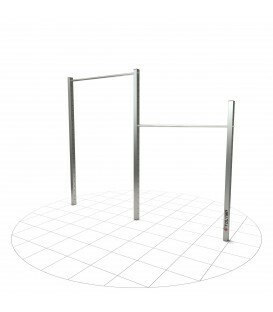 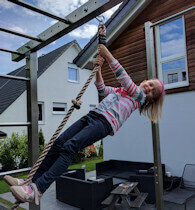 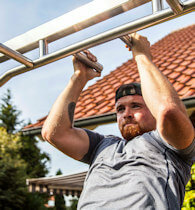 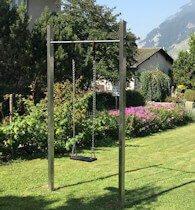 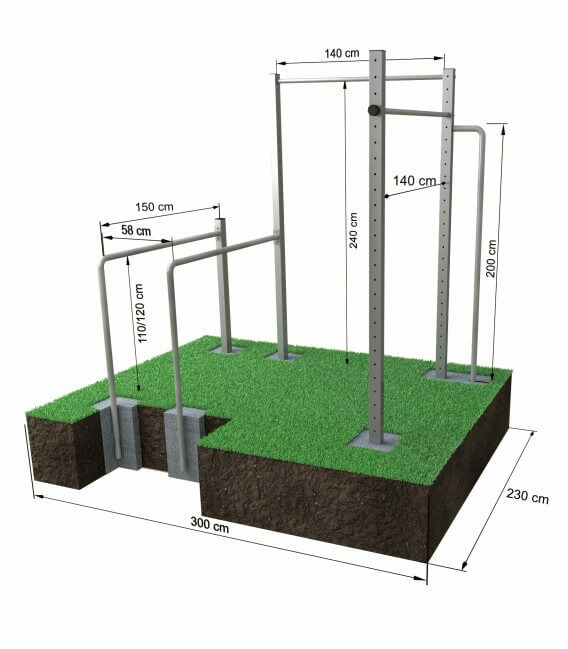 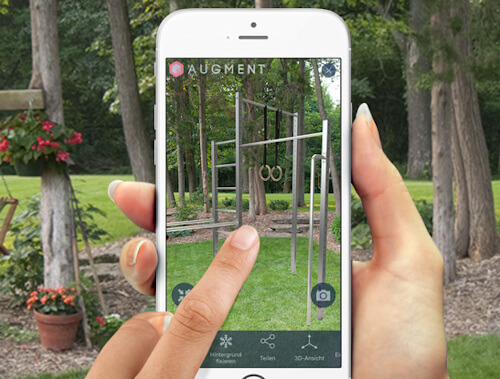 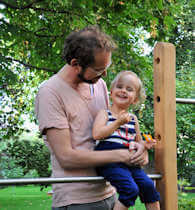 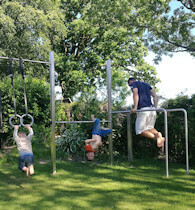 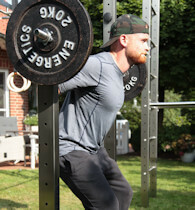 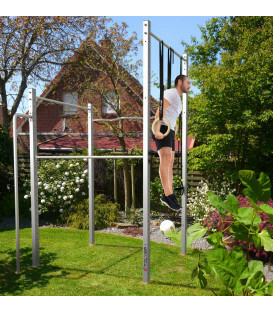 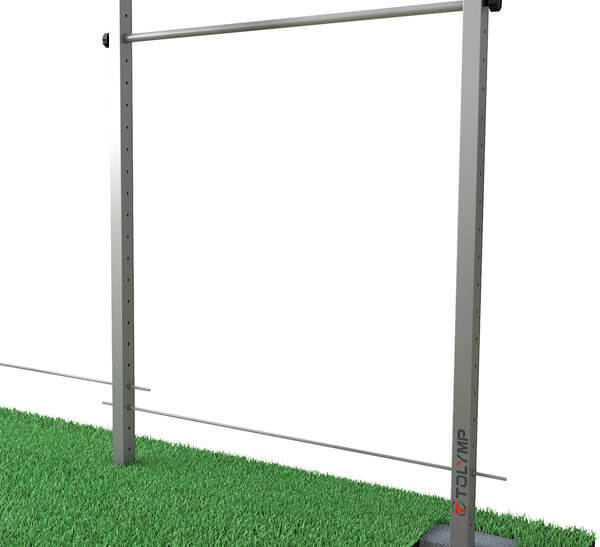 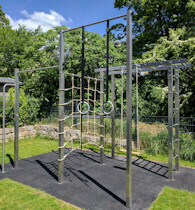 The other stretch rod can be mounted on the two height measurements 235 and 215 cm at the corner installation, when installing the pull-up rods side by side, both rods are completely adjustable, so that a variety of Freeletics and Calisthenics exercises with your own body weight are possible. 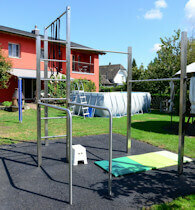 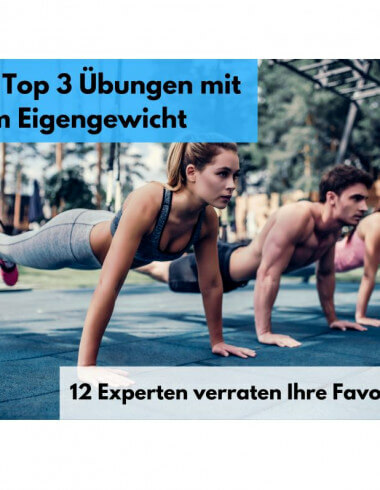 So adults as well as children and adolescents quickly find suitable training conditions. 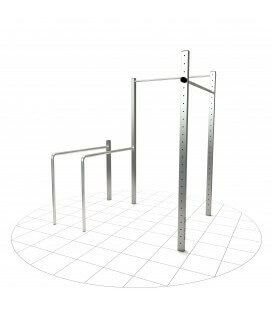 The quick adjustments are already included. 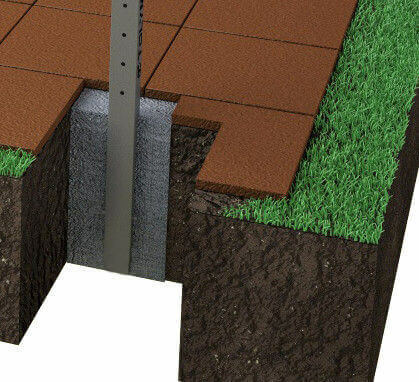 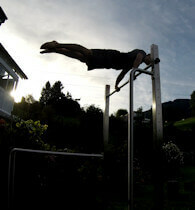 The post strength is at this cheap station already 3mm, a human flag pole is therefore inexpensive to complete. 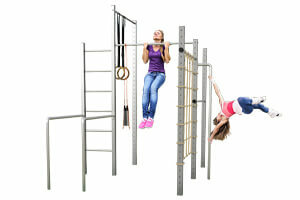 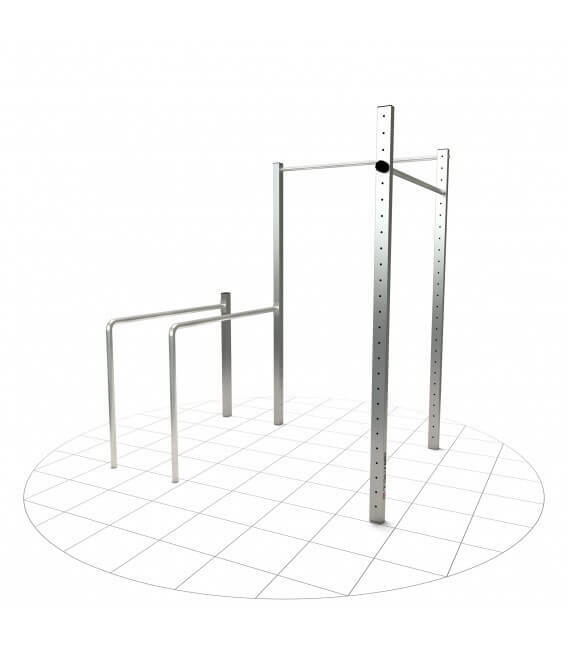 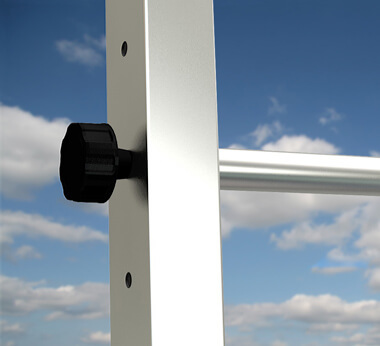 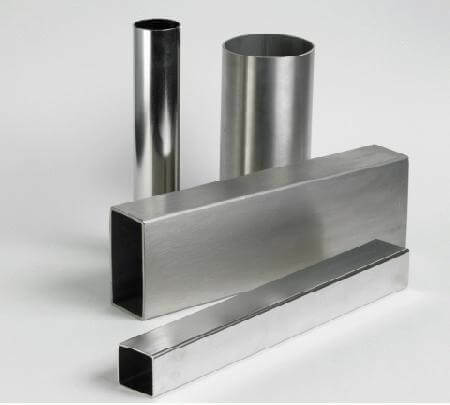 The installation of the two gymnastic bars is possible as a corner solution or side by side.